When it comes to controlling crowds, or maintaining the order in a busy event or business, one of the single most effective tools to use is a short stanchion. A staple in any store, business, or party, short stanchions are a quick, easy way to keep the crowds in line with class and sophistication. Plastic stanchions. These are perfect for outdoor events, or if you have a smaller crowd control budget. 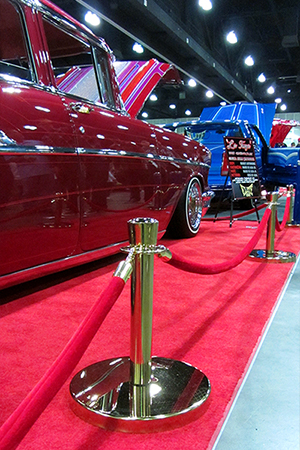 Post and rope stanchions.For a business or event that requires rope guidance, but calls for a little more elegance and class, the post and rope stanchions are perfect. Single retractable belt stanchions. 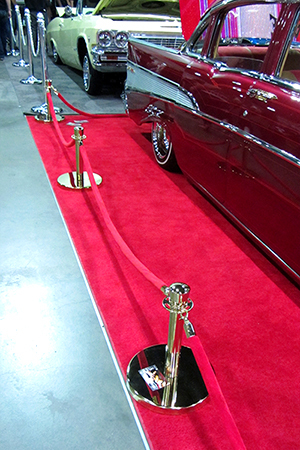 These are one of our most popular stanchions because they are perfect for any number of events or scenarios. Short stanchoins. If you want to give your crowd just enough guidance while not obstructing the sight, the quality short stanchion can be made just the right height, which will prevent anyone from going over the line you have created. This will help you showcase your products with maximum visibility. At VIP Crowd Control, we are committed to providing only the best products. VIP Crowd has a large selection of short stanchions to meet your every need. If you have any questions about the stanchions that we sell, or need help ordering, please contact our knowledgeable team today.